It’s our 3rd Birthday and we’re celebrating by giving you the chance to win a print by Australian illustrator Ann James! Ann James, the well-loved Australian illustrator who has brought to life books such as The Midnight Gang, The Butterfly and Lucy Goosey, has designed a series of special colouring sheets just for Reading Australia’s 3rd birthday. For the entire month of November, we will be releasing one exclusive colouring sheet each week for you and your classroom to enjoy. 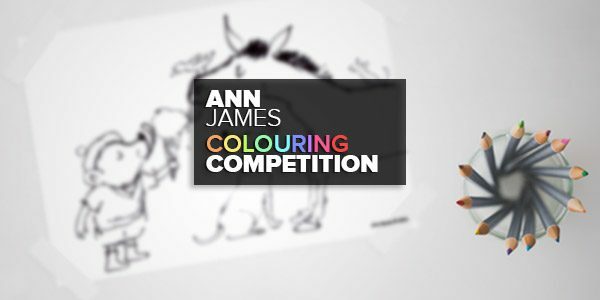 Because giving a gift is more fun than receiving one, the team at Reading Australia would like to give you the chance to win your very own Ann James print for your classroom. We will select one winner from two categories: Foundation to Year 3, and Year 4 to Year 6. For the older students we’ve decided to make it more challenging by asking them to add a caption to go with their colouring sheet. Download the colouring page and hand it out to your students. One winner will be judged as the best from all entries, in two categories 1) Foundation to Year 3 and 2) Year 4 to Year 6. The judges’ decision is final and no correspondence will be entered into. Contest Opens 2 November 2016 and closes 2 December, 2016. Winners will be notified by 8 December. Each winner will receive an Ann James print (pre-selected by the Copyright Agency), worth a value of $105.